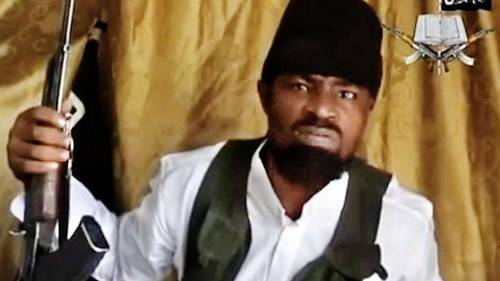 The Nigerian Military, on Tuesday, disclosed that an aerial operation on Boko Haram enclave in Sambisa Forest, has left some members of the insurgent group, including its factional leader, Abubakar Shekau fatally wounded. A statement by Army’s acting spokesman, Col Sani Usman, said Shekau was believed to have been injured on his shoulders, while some commanders of the group were killed in an aerial operation by the Nigerian Air Force. terrorists were performing Fridayrituals at Taye village, Gombale general area, within Sambisa forest, Borno State. Usman said, “In what one could describe as the most unprecedented and spectacular air raid, we have just confirmed that as a result of the interdiction efforts of the Nigerian Air Force, some key leaders of the Boko Haram terrorists have been killed while others were fatally wounded. “The air interdiction took place last week Friday 19th August 2016, while the terrorists were performing Friday rituals at Taye village, Gombale general area within Sambisa forest, Borno State.